Vaporesso Revenger TC Kit with NRG Tank 220W - RED w cenie $59.99 | Chińskie kupony rabatowe, zniżki i okazje! 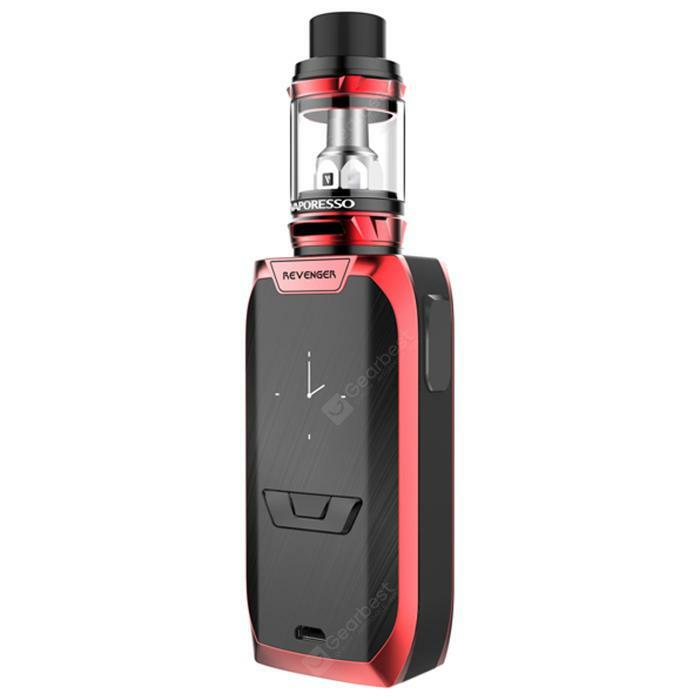 Vaporesso Revenger TC Kit with NRG Tank 220W – RED! Teraz w promocyjnej cenie $59.99 Cena regularna to: $89.9, zaoszczędź i skorzystaj z kuponu na gearbest! Vaporesso Revenger Kit, comes with quick charging function, it has a maximum output of 2.5A and the average output of 2A. With the RCT function, you can see the remaining charging time easily. In order to provide you with high-level safety guarantee, it has USB overcharging protection, which will protect the safety of you and the battery. • Multiple system modes including CCW, CCT, VT ( NI, TI, SS ), TCR ( M1, M2 ), RTC, BYPASS, etc.